The world is mostly random and non-linear, but we are hard-wired to construct narratives that make sense of it all. What we attribute to individuals’ and organizations’ skill is often mostly due to luck. We trick ourselves into thinking that what seems unlikely to happen — like the appearance of a black swan — will never actually take place. This is Taleb’s first book, published in 2004, before his more well-known “The Black Swan” came out three years later. 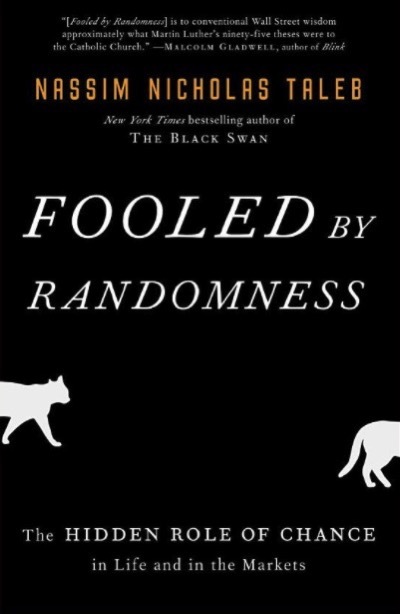 Here, he lays out his thinking on why we are “fooled by randomness,” or built to make sense of a world that often is nonsensical. Taleb relates his experience as a trader, taking an unconventional approach to investing, to illustrate how his grasp of how the world has brought him success. Unlike those around him, for example, he eschews news because its signal-to-noise ration is too high. A proud iconoclast, he assails journalists, economists, academics, MBAs (of which he is one) and other investors for being blindly taken in by randomness. 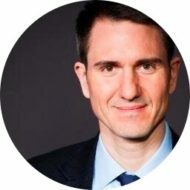 This confusion strikes people of different persuasions; the literature professor invests a deep meaning into a mere coincidental occurrence of word patterns, while the economist proudly detects “regularities” and “anomalies” in data that are plain random. At the cost of appearing biased, I have to say that the literary mind can be intentionally prone to the confusion between noise and meaning, that is, between a randomly constructed arrangement and a precisely intended message. Perhaps because Nassim’s work is so influential — people often refer to “black swan” events, especially in the tech world — I feel as if rather than introduce me to a radical new way of thinking, this book reinforced many of Taleb’s arguments, which I had already internalized. Some of the best parts of the book, in my mind, are his anecdotes about colorful characters from the Wall Street world. I must say I found what seemed to be his focus on proving his intellectual superiority to those around him to be mildly off-putting. Still, I found it quite entertaining and enriching. If you set out to read this book not as a nonfiction guide to his way of thinking but as a personal essay, which is how it structured, I think you’ll find it enjoyable and enlightening.